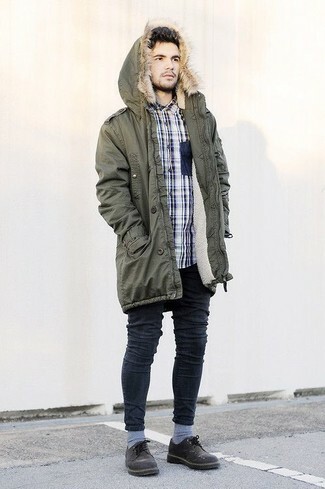 If you're a fan of functionality dressing when it comes to fashion, you'll love this easy combo of an olive parka and black skinny jeans. To add elegance to your ensemble, finish off with Comme Des Garcons Homme Plus comme des garons homme plus creepers lace up shoes. 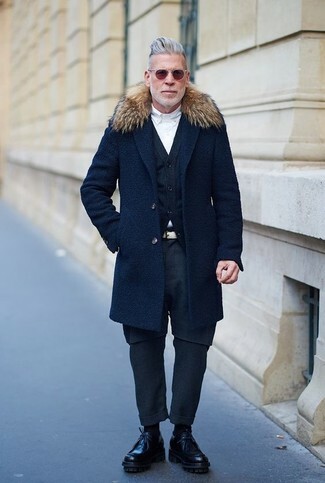 This combination of a navy fur collar coat and navy chinos is very easy to throw together without a second thought, helping you look dapper and ready for anything without spending a ton of time going through your arsenal. 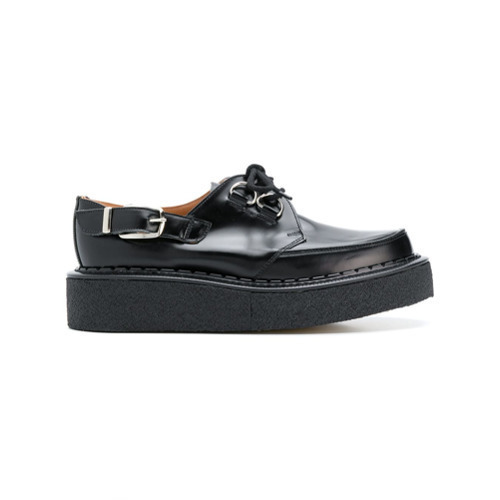 When it comes to shoes, this getup is finished off nicely with Comme Des Garcons Homme Plus comme des garons homme plus creepers lace up shoes. Pair a brown leopard bomber jacket with black skinny jeans, if you want to dress for comfort without looking like a slob. To add more class to your outfit, round off with Comme Des Garcons Homme Plus Comme Des Garons Homme Plus Creepers Lace Up Shoes from farfetch.com. Contrary to what you might believe, being a dapper dude doesn't require that much effort. Just opt for a beige blazer and white jeans and you'll look incredibly stylish. Rocking a pair of Comme Des Garcons Homme Plus comme des garons homme plus creepers lace up shoes is a simple way to add some flair to your getup. 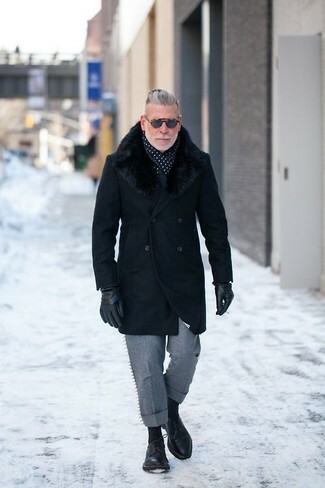 For a nothing less than incredibly stylish ensemble, reach for a black fur collar coat and grey wool dress pants. Grab a pair of Comme Des Garcons Homme Plus comme des garons homme plus creepers lace up shoes to have some fun with things. 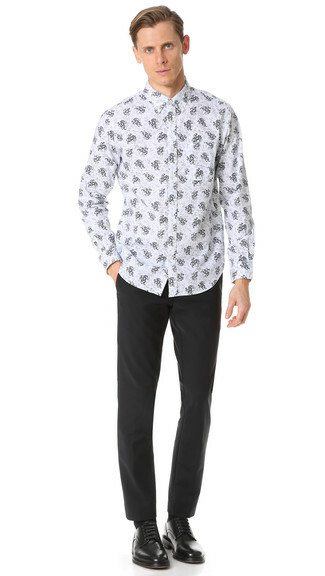 For a nothing less than incredibly stylish look, marry a white floral long sleeve shirt with black dress pants. When it comes to footwear, this look is finished off wonderfully with black leather derby shoes. For a nothing less than incredibly stylish ensemble, wear a black suit and a black dress shirt. 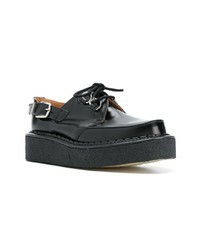 Comme Des Garcons Homme Plus comme des garons homme plus creepers lace up shoes will add more playfulness to your outfit. 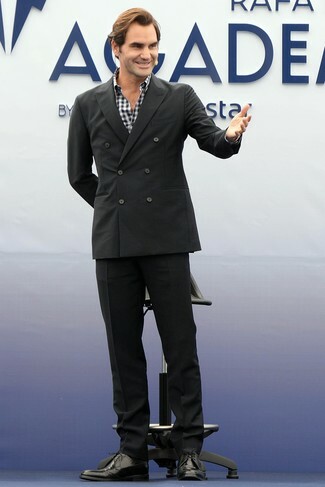 For a nothing less than incredibly stylish getup, wear a black suit and a white and black gingham long sleeve shirt. When it comes to shoes, this outfit is round off nicely with Comme Des Garcons Homme Plus comme des garons homme plus creepers lace up shoes. Wear a grey suit and a white dress shirt to ooze class and sophistication. Black leather derby shoes will deliver more playfulness to your look.